Preparations are recipes to dishes that are featured in future posts. 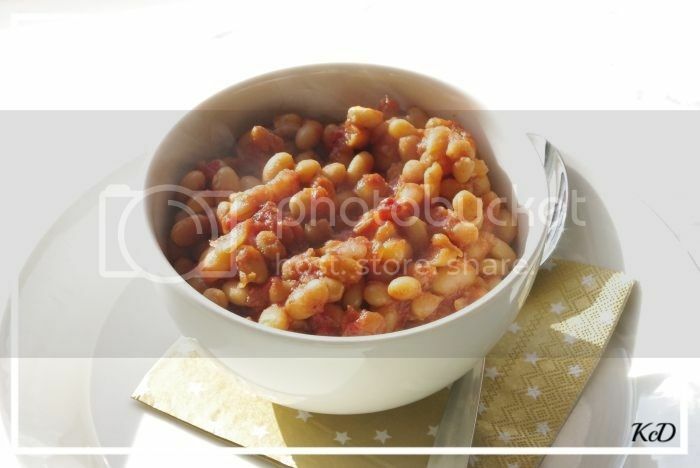 Baked beans will be part of my first Midnight Breed -dish. 1. Rinse the beans and soak them in water for 8-10 hours. Strain them through sieve and put them in pot with fresh water and bring them to boil. Then lower the heat and let them simmer for 45 minutes. Then strain them through a sieve again. 3. Remove the stem and seeds from the chili pepper and chop it to fine pieces along peeled onion and garlic. 4. Mix the beans with the rest of the ingredients in a oven pot and add water (rinse the tomato can) so that the beans are covered. 5. Bake the beans in oven for approx. four hours and while baking add more water if the mixture seems to dry out.